Brexit is a hot topic at the moment, dividing the nation on opinion. 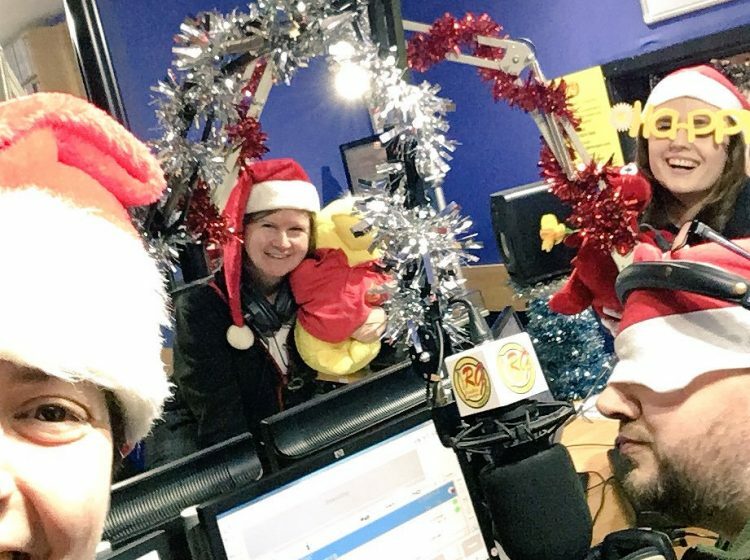 So to lighten the mood, here at Radio Glamorgan we’re introducing ‘the festive hour’ to inject some cheer into the working week. From 9am every morning, we’ll be playing nothing but the best Christmas songs back-to-back. The festive hour begins on Monday 8th April. And every 4th Monday, the Powered By Howard show will be Powered By Santa, so get those sleigh bells ready for Crazy Corridor Carols. Tune in using our free mobile app for iPhone/Android devices, via your smartspeaker or through this website. Hear a live stream in your browser. Or download the TuneIn app and search for Radio Glamorgan. We are an award-winning hospital radio station that serve the University Hospital of Wales in Cardiff, 24 hours a day, seven days a week. Our volunteers present shows and work behind the scenes to ensure that patients' time in hospital is as pleasant as possible. To dedicate a song please call 029 2074 3389. Alternatively, you can request a song using the website or via Twitter or use the phone outside our studio. As a charity we rely on donations to fund our work. Radio Glamorgan is a registered charity (number 504534) and member of the Hospital Broadcasting Association (HBA).